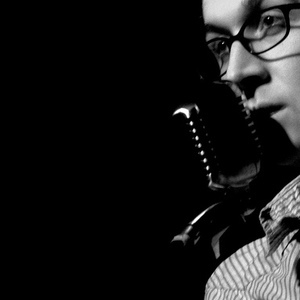 Micah P. Hinson is a singer/songwriter from Abilene, Texas with a warm, husky voice. His music has an americana/alternative country slant, with hints of gospel and blues. Micah P. Hinson and the Gospel of Progress, his first real album, was produced in 2004 by The Earlies, Micah's friends, collaborators and sometimes tour buddies (where they play as his backing band). In 2005, his earlier 4-track recordings were produced and released properly as an album under the title The Baby & The Satellite. Micah has toured with and opened for artists such as Will Oldham, Iron & Wine, David Gray and Calexico.